LE CELADON lies 30 km from Nantes which is accessible by motorway in less than 30 minutes. 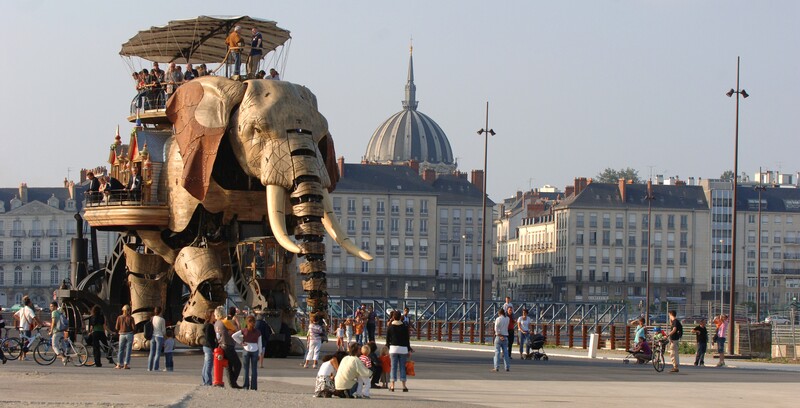 A city of art and history, Nantes is a dynamic and attractive place to visit. The Bouffay neighbourhood: The historic centre of Nantes, the Bouffay neighbourhood, has preserved its medieval appearance. Mainly pedestrianised, a walk around its winding paved streets allows you to discover the half-timbered houses, Sainte-Croix Church with its Baroque facadeand its metal belfry. The Castle of the Dukes of Brittany: The last castle on the banks of the Loire before the ocean, this Breton monument with its outstanding buildings dating from the 15th to the 18th centuries leads you on a journey into the city’s history. The Cathedral: Its construction commenced in 1434 and was only completed in 1893. After the devastating fire of 1972, major renovation work was undertaken in order to return the building to its full glory. The Art Museum: After six years closed to the public and major renovation work, Nantes art museum reopened its doors this year with a rich collection of more than 12,000 works spanning ancient and contemporary art. The Pommeraye passageway: Inaugurated in 1843 and a listed historic monument, the Pommeraye passageway is a shopping gallery laid out over three levels around a monumental staircase. An architectural gem combining neo-classical and Louis-Philippe styles, it is a rich historic site for visitors. Place Graslin and its theatre: With its 18th century neoclassical style, the Graslin Theatre dominates the square of the same name. Built in 1788 and destroyed by a fire a few years later, its construction was commissioned by Napoleon. Opposite, the famous restaurant “La Cigale”, an institution in Nantes, was inaugurated in 1895 and is now a listed historic monument. Inside, you will discover a magnificent interior dating from 1900 and enjoy the atmosphere of the great brasseries of the 19th century. Les Machines de l’Ile: On the site of the former shipyards, an astonishing journey is offered into a world of imaginary creatures. Les Machines de l’Ile, with its famous 12-metre tall and 48-tonne elephant, its marine world gallery and carousel will immerse you in a unique world inspired by Jules Verne. The Loire: One of the distinguishing features of Nantes is that it is located between the river and the sea. The organisation of the city, known as the “Venice of the West”, and its unique atmosphere, is the result of the Loire. 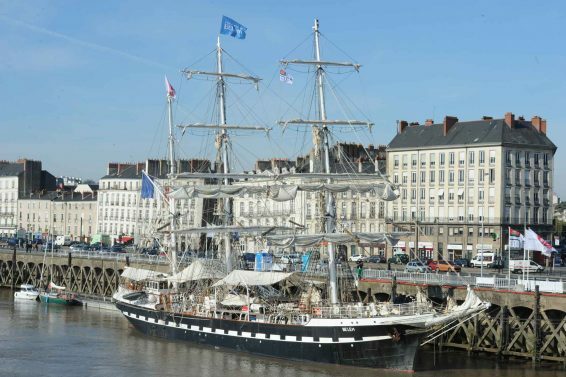 Various cruises allow visitors to set sail from Nantes to discover the outstanding natural treasures and heritage of the Loire estuary. The village of Trentemoult: About ten minutes from the city centre, this former fishing village offers a complete change of scenery. To ensure a complete experience, take a boat there from the Gare Maritime ferry terminal. During a colourful walk around the maze of streets, take advantage of the restaurants, small stores and bars and spend a day getting away from it all.